Mobile devices are ubiquitous in today’s business world. Much of the 24/7 nature of commerce is built on the idea that businesses can access and transmit important information at any time and from any location. The question is, is this information being accessed and transmitted securely? For as important as it is for businesses to be able to conduct 24/7 mobile commerce, it’s equally important to ensure that this business is being conducted securely. A lack of security essentially defeats the purpose, as it opens businesses up to theft of information, which could be potentially catastrophic. In this week’s blog, we’ll talk about some common security threats against mobile devices, as well as strategies that can be employed to reduce the likelihood of and prevent security breaches. Phishing scams are an old trick, but one that continues to work well. The mobile user may receive a text or email that claims to be from a reputable source and requests personal information from the user. However, the source is actually malicious, and users who fall for this scam unknowingly relinquish valuable personal information to a source with bad intentions. Malicious web pages also harbor danger for mobile devices. The user visits a malicious site, and unknowingly downloads an application that steals their data. Public Wi-Fi networks are a hotbed of malicious activity. Users who access these networks with their mobile devices expose them to a host of risks from hackers on the same network, who can easily access and infect their devices with viruses and malware. 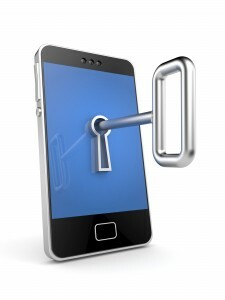 Infected documents pose yet another security risk to mobile devices. Users may receive a document in an email, unaware that a malicious program is hiding inside. When the document is opened, the program hides on the device, stealing data. And of course, physically stealing a device, gives the thief access to a treasure trove of data. A proactive strategy is best for protecting employees’ mobile devices. Employees should be educated on best mobile security practices, and implementing a bring-your-own-device policy. For more enhanced protection, security vendors offer enterprise-grade solutions to ensure the security of employees’ mobile devices. This entry was posted on Thursday, April 30th, 2015 at 1:18 pm. Both comments and pings are currently closed.